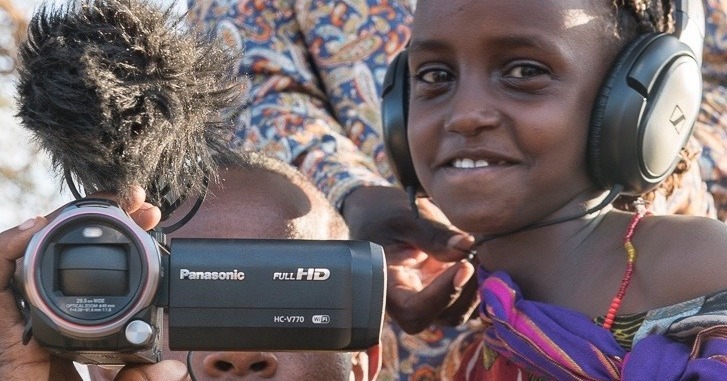 This guide provides ideas and inspiration for anyone organising community screenings as part of a Participatory Video process. It includes advice on planning and delivering an effective screening, practical suggestions for logistics and technical considerations, facilitator tips, checklists, and a range of short case studies from a variety of past projects. This unique resource is available as a FREE DOWNLOAD from the link below. 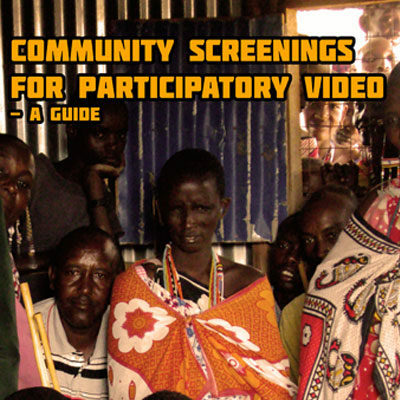 Community screenings are central to Participatory Video processes for a variety of reasons. They provide opportunities to engage a wide group in the issues raised and to promote dialogue between different groups and stakeholders. Screenings and associated discussions create spaces for the objectives and content of Participatory Videos to be validated, questioned, challenged, or redirected. Given sufficient planning and resources, community screenings can be the fertile grounds within which actions can be agreed and radical shifts in opinion, attitude and behaviours made. The content of this guide focuses on screening completed (edited) videos in the period directly following the production phase of a Participatory Video project. Nevertheless, many of the ideas and recommendations included may also be useful when screening rushes (unedited video footage) during the production and decision-making processes as well. Not everything included will be relevant or appropriate in your particular circumstances…just take what you want and reject what you dislike, adapt it to your situation a share back your experiences with us! ‘Community Screenings for Participatory Video’ was written by Gareth Benest, InsightShare. Published with support from The Christensen Fund.